With many claiming V-Nose trailers are getting a little better mileage and storage room up front over flat trailers, the debate often goes back and forth over which is better for towing. At Moduline, we are not going to jump in that rabbit hole of a discussion. 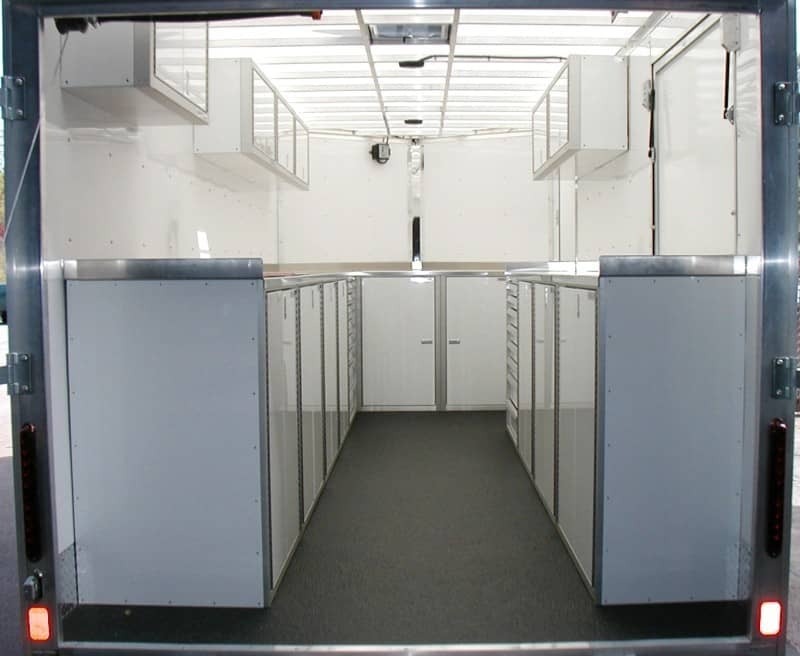 Instead, we are here to offer our top of the line organization that is found within our PROII™ SERIES for V-Nose Trailer Cabinet Combinations. Moduline’s PROII™ SERIES features completely assembled aluminum storage cabinets for V-Nose trailers with clear anodized and sealed front frames. Moduline’s PROII™ SERIES is manufactured from premium high-alloy aluminum with high gloss finish complete with chrome textured trigger latches and QUIKDRAW® Single Action Latch Systems. A solid aluminum countertop is included as a workspace with fully adjustable shelf systems. The PROII™ SERIES comes in several standard colors to coordinate with common trailer colors for an impressive appeal and design. Whether your order is fully preconfigured or ordered in optional components, we also offer other features and options of our PROII™ SERIES to help complete your design. At Moduline Cabinets, we take pride in our USA-made products and provide a Lifetime Warranty. 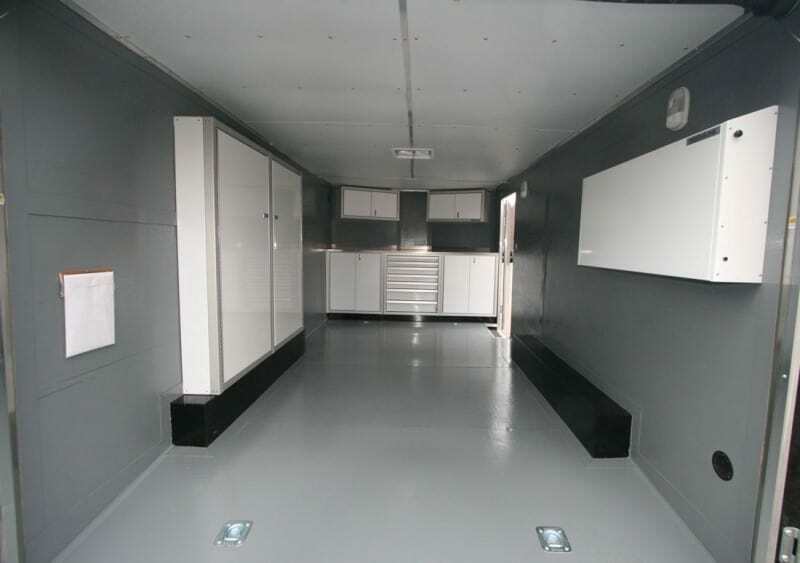 We offer the best quality high-alloy aluminum trailer cabinets and customer service. We assist you every step of your purchase before, during, and after to ensure your V-Nose Trailer design is the most efficient for your storage and organization.